Peel the mangoes and cut 24 thin slices lengthwise. 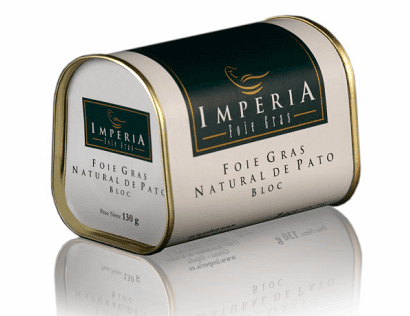 Cut the Bloc of Duck Foie Gras Natural thin sheets to become a canutillos of no more than 1 cm thick. Then put each of these above the mango slices and roll very gently. Immediately sprinkle with sugar and caramelize with the help of strong Broiler. 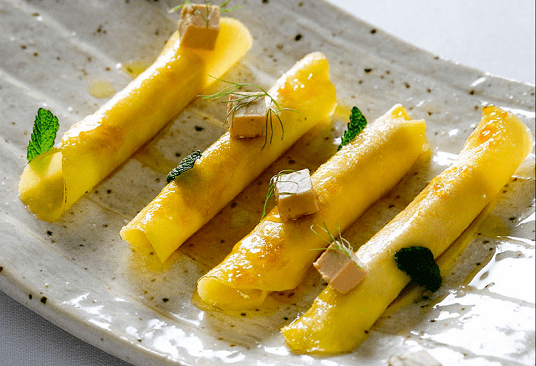 Put four canutillos on each plate, garnish with mint leaves and fennel and place a given Bloc of Duck Foie Gras Natural on each.